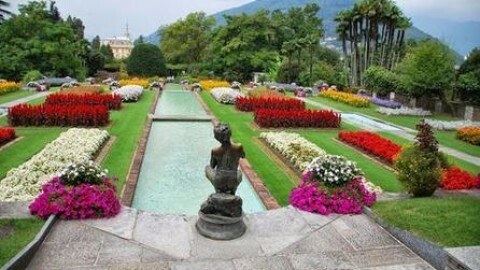 The gardens of Villa Taranto in Verbania, between Intra and Pallanza, are known the world over for their great beauty and the huge number of plant species they contain. 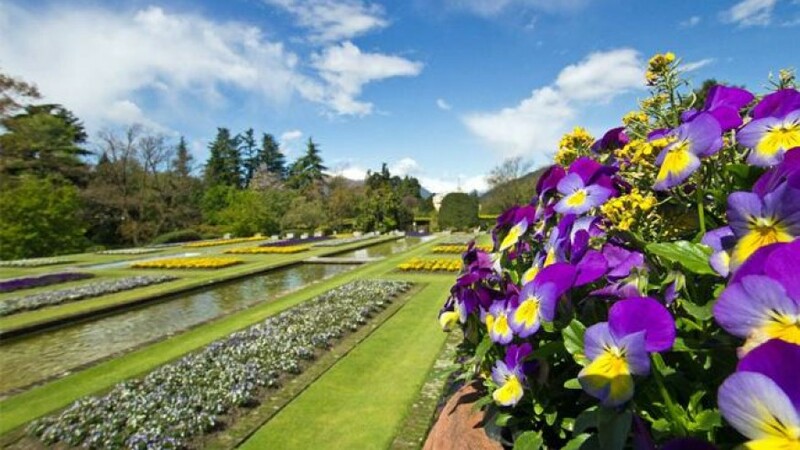 The result of a labour of love on the part of the Scottish Captain McEacharn in 1931, the myriad of colours and scents the marvellously landscaped garden offers continues to enchant visitors from March to October. 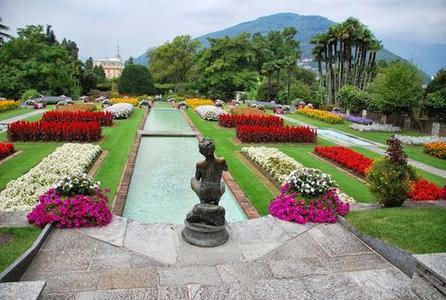 The gardens are landscaped in what is essentially the English style, though there is no lack of Italian features like statues, fountains, ponds, terraces, waterfalls – in short, all the ornamental elements that add some extra magic to this earthly paradise. 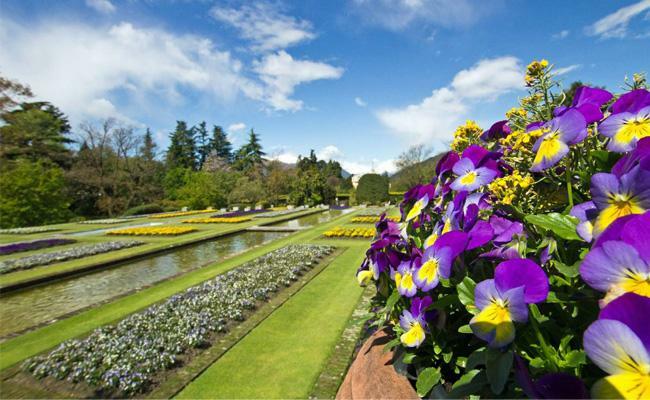 Villa Taranto is one of the most important botanic gardens in the world, with thousands of species of trees and flowers from all over the world, planted harmoniously over an area of around 16 hectares, crossed by 7 km of paths and avenues. It is impossible in a few words to do justice to the wealth of colour, scent, and emotional impact: eucalyptus, azaleas, rhododendrons, magnolias, port wine magnolias, maples, camellias, dahlias, tulips, lotus, heathers, dwarf asters, hydrangeas, dozens of tropical plants (including the giant water lily Victoria Amazonica), rare specimens like Dicksonia antarctica (Tasmanian Tree Fern) and Davidia involucrata (Dove Tree). From spring to autumn there are always flowers in bloom, with “special events” for certain species which are particularly spectacular in their season: the tulip week is in April, dahlias are at their best between July and October. 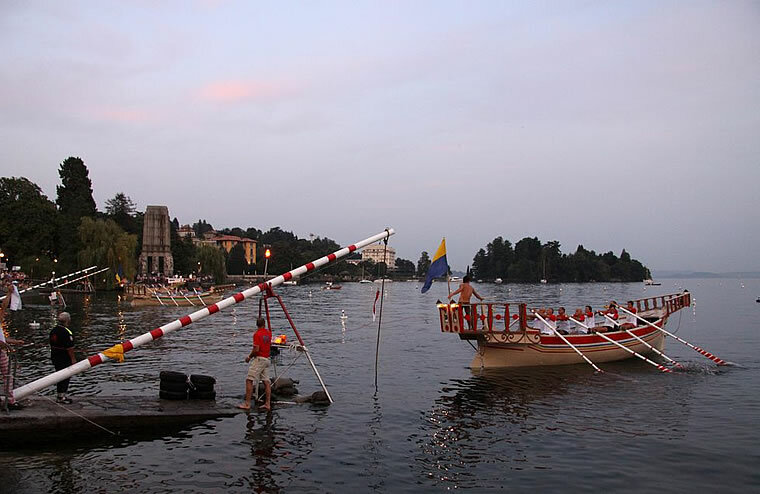 The garden book festival Editoria & Giardini is an occasion for special events in September. This extraordinary place was the brainchild of the Scottish captain Neil McEacharn, who bought the villa in 1931 with the specific intention of creating the garden of his dreams on the shores of his beloved Lake Maggiore. 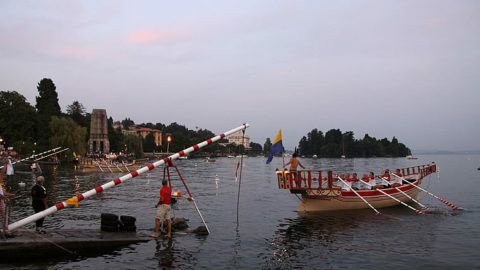 He named the property after a family ancestor who had been made “Duke of Taranto” by Napoleon. In 1939 Captain McEacharn, who had no direct heirs, decided to gift the whole property to the Italian state, in exchange for permission to be buried in the mausoleum which now stands in the middle of the park. There is an entrance fee for visiting the gardens.